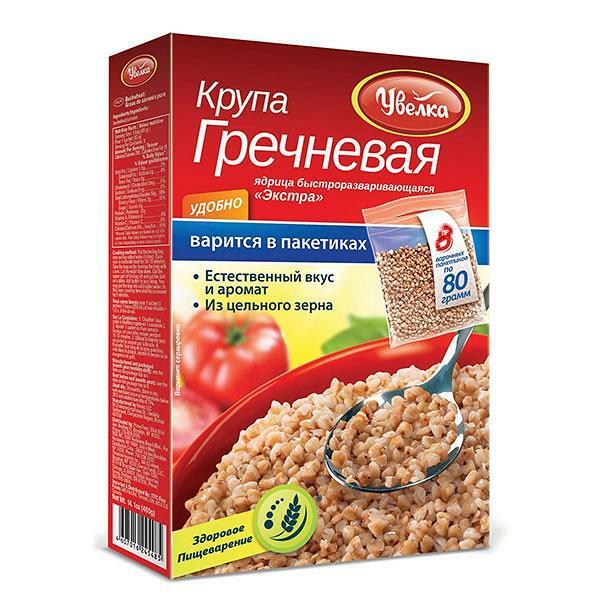 Buckwheat Groats "Uvelka" is very simple and quick to cook in bags. It doesn't stick to the bottom, leaving the pan clean. Buckwheat has always been considered to be the queen of groats. 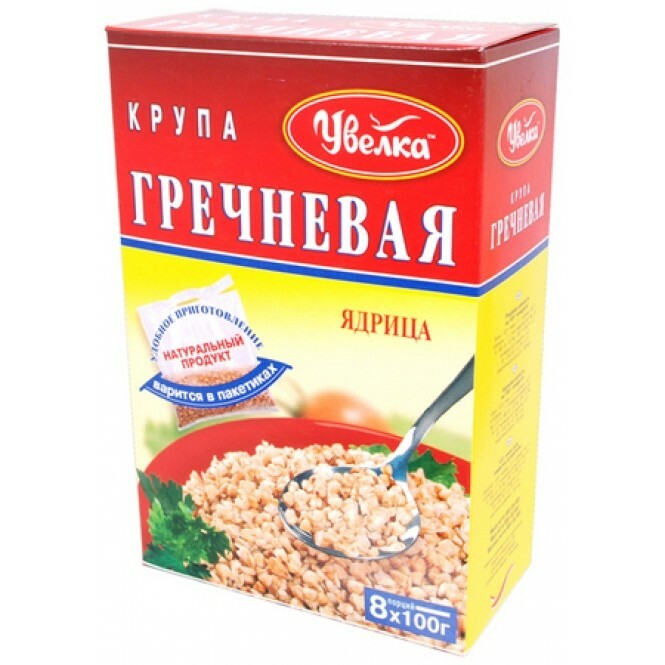 It contains a unique range of amino acids, carbohydrates, cellulose, vitamins ( Р1, Р2, P6, РР, folic acid) and minerals (potassium, iron, phosphors, magnesium). Buckwheat is well digestable; it promotes the excretion of excess cholesterol and heavy metal ions and mitigates the risk of cardiovascular problems.